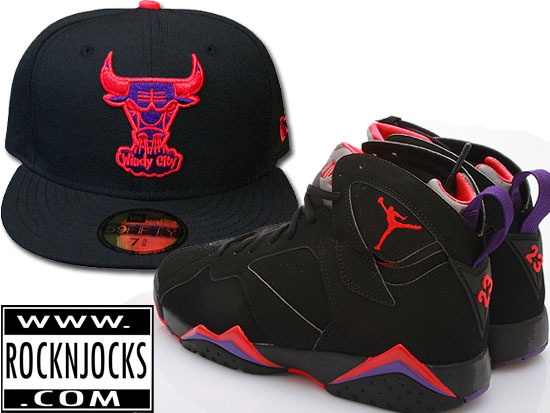 Rock-N-Jocks want to match your Retro Jordan Raptors 7’s perfectly with this CUSTOM Chicago Bulls New Era 59/50 fitted hat. This fitted is all black with an all black bill. The embroidered Bull face logo on the front of the hat is in purple and red. The back of the hat has the same bull face logo but smaller also in purple and red. Only limited to 30 total pieces. Go quick because the only place to get this is exclusively at www.rocknjocks.com. Big shout out to the Team USA Women’s Basketball Team for achieving that coveted gold medal for the 5th straight Olympics, yesterday! 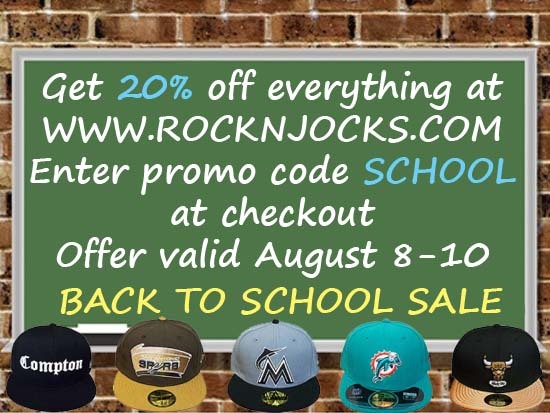 Rock-N-Jocks is having a big back to school sale with 20% off entire site. Enter promo. SCHOOL at the checkout page. Hurry this short sale is only from August 8th-10th. Only at www.rocknjocks.com. 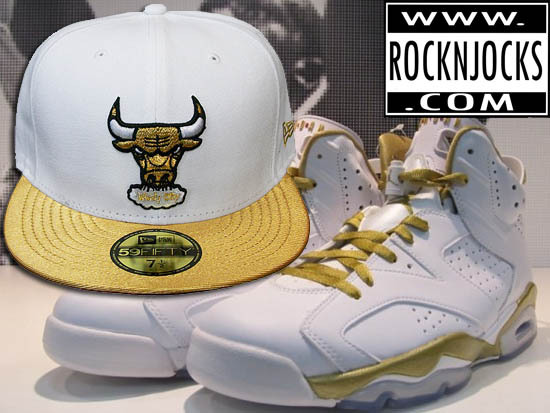 Rock-N-Jocks goes for the gold with this perfect match for the golden moments package Jordan retro 6’s. This custom Chicago Bulls New Era 59/50 fitted is all white with an all metallic gold bill. The embroidered Bulls face logo on the front of the hat is in metallic gold, black, and white. The back of the hat has the smaller embroidered bull logo in gold and black. Only 30 total pieces. Get it while you can. Exclusively available at www.rocknjocks.com. August 14th is the FREE concert New Yorkers were waiting for from Nicki Minaj. After the debacle from Hot 97 Summer Jam earlier in the year, Nicki promised a free concert in NY and here it is. the concert is at a secret location, sponsored by PEPSI. “There were no suspicious activities,” Shupp said. Reid seemed to have rebounded from his problems in recent times and was assisting the Eagles’ strength coaches at camp in an unofficial capacity, a not-uncommon sort of role for NFL coaches’ sons. Many of the coaches and staff stay in the Lehigh dorms. In the midst of his legal troubles in his early 20s, Reid said he “got a thrill” out of being a drug dealer in a lower-income neighborhood just a few miles from his parents’ suburban Villanova mansion. His younger brother, Britt, also had problems with drug use and was arrested on the same day as Garrett in 2007 for a road-rage encounter. Police discovered weapons and drugs in Britt Reid’s vehicle. “ We’ve been with Andy for a long time. He’s always been strong for us; we’re going to be strong for him right now. The Eagles practiced Sunday morning after gathering for a team prayer, but Andy Reid was not present. Assistants Marty Mornhinweg and Juan Castillo ran the team’s walk-through and will oversee the Eagles until Reid returns. Owner Jeffery Lurie said he expected Reid back this week. Authorities had few details about Garrett Reid’s death. Reid is in his 14th season in Philadelphia. He’s led the Eagles to nine playoff appearances, six NFC East titles, five conference championship games and one Super Bowl loss. If your in the Philly area tomorrow, stop by VILLA on 52nd St. for your opportunity to meet and greet Jadakiss [2pm-3pm] and MMG’s own Stalley [5pm-6pm].